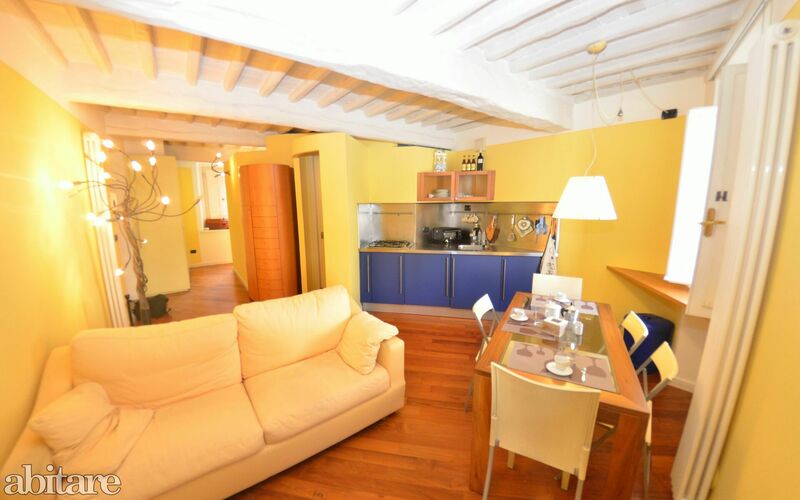 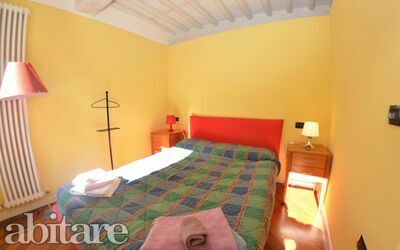 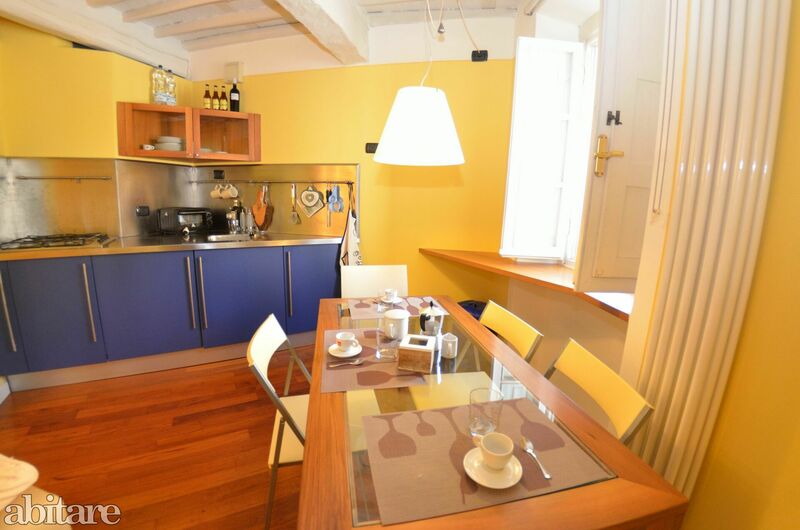 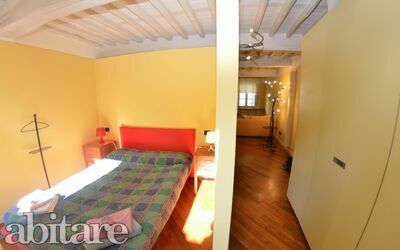 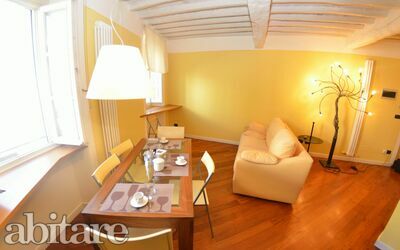 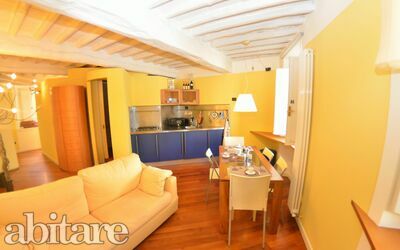 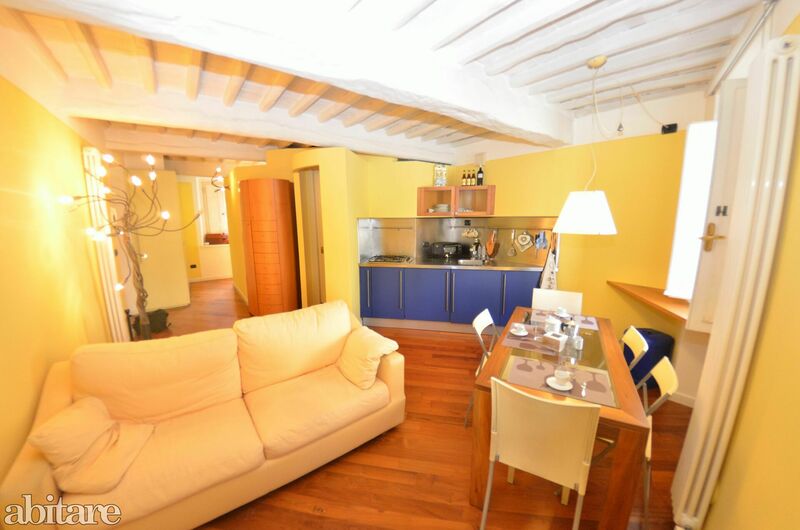 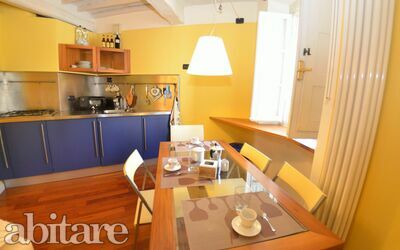 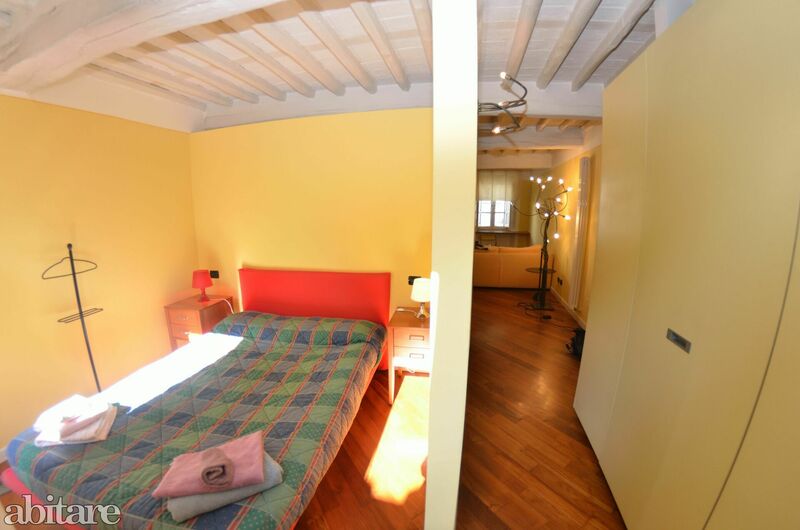 Casa Leon is a small apartment, on the 1st floor, located in the historical centre of Lucca. The apartment disposes of comfort such as a lift and unlimited WiFi access. 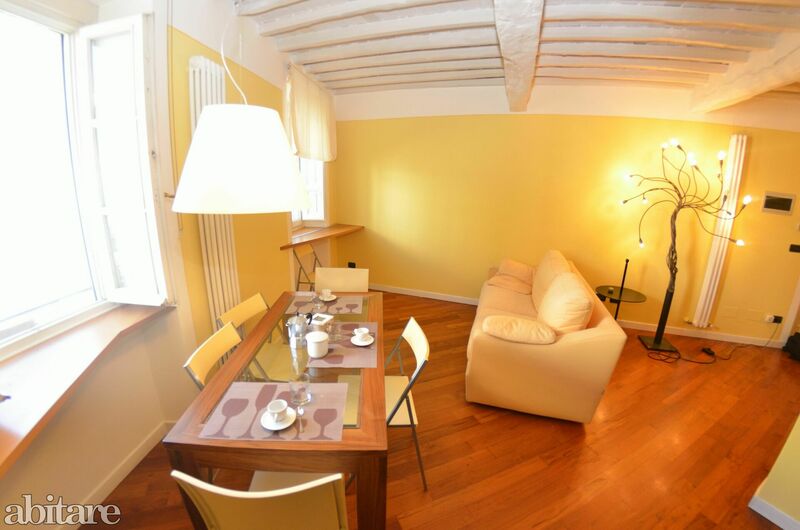 It is the perfect base to explore the city and the well-known sites of Tuscany. Lucca lies on a strategic spot to reach the beautiful cities of Tuscany such as Pisa (20 km) and Florence (90 km). The historical centre, which is surrounded by an intact town wall has its own magic which attracts every year thousands of tourists. Thanks to its town walls the city character remained almost intact – for example the amphitheatre with its oval form, the “Guinigi”tower and medieval “palazzi”, the dome of San Martino and the wonderful church of San Michele and “Palazzo Pfanner”, which was chosen by many film directors as location for their films such as the popular “Portrait of a Lady” by Jane Campion starring Nicole Kidman. 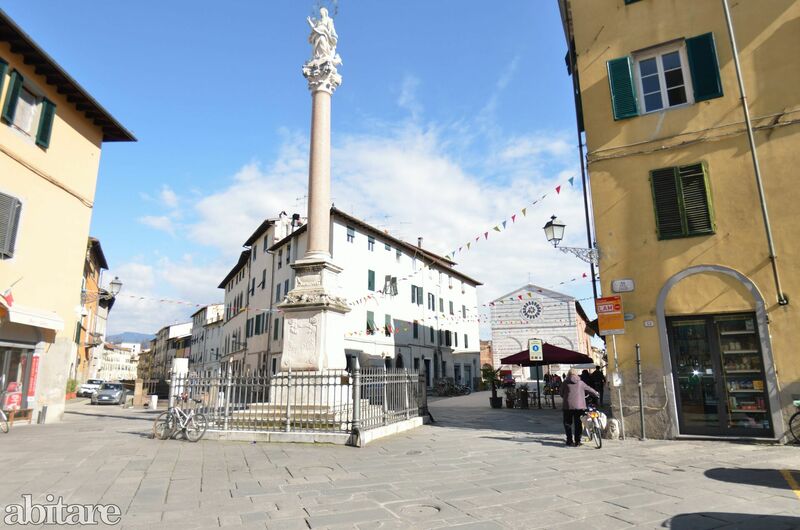 The city of Lucca is also known for being the birthplace of Giacomo Puccini who is loved all over the world because of his operas. 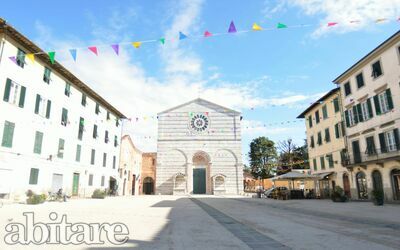 There are many cultural events (concerts and vernissages) taking place during the year which are inspired by his works. 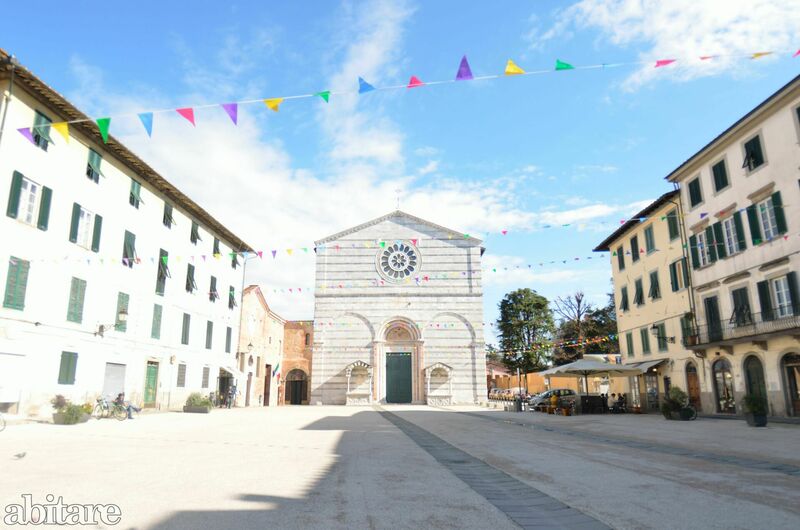 The Puccini festival happens in Torre del Lago (only 25 km from Lucca), where the musician spent a lot of his time. 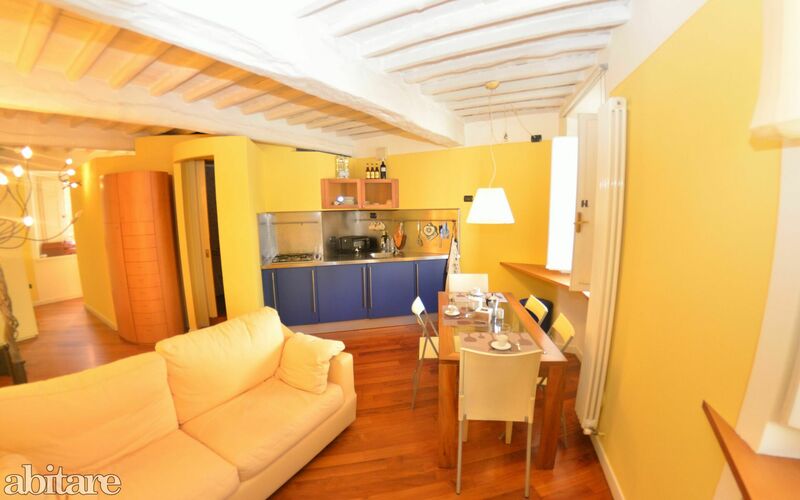 Within two flight of stairs access to the apartment on the 1st floor – open-space with kitchen angle, 1 double bed settee, dining table, stove, fridge, small electric oven, small dishwasher and washing-machine. 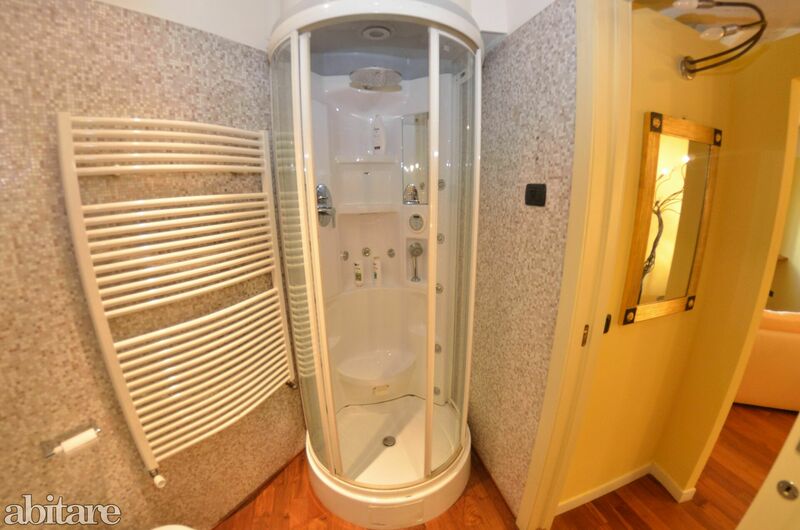 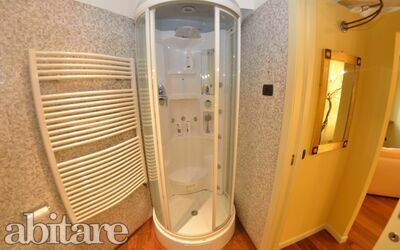 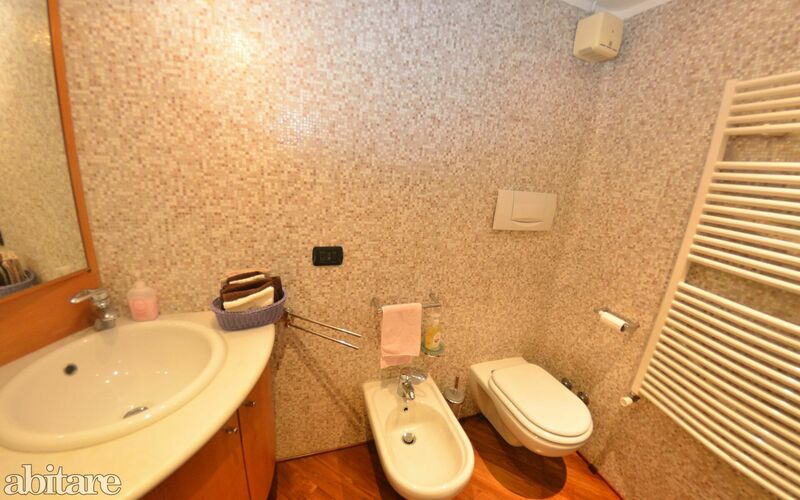 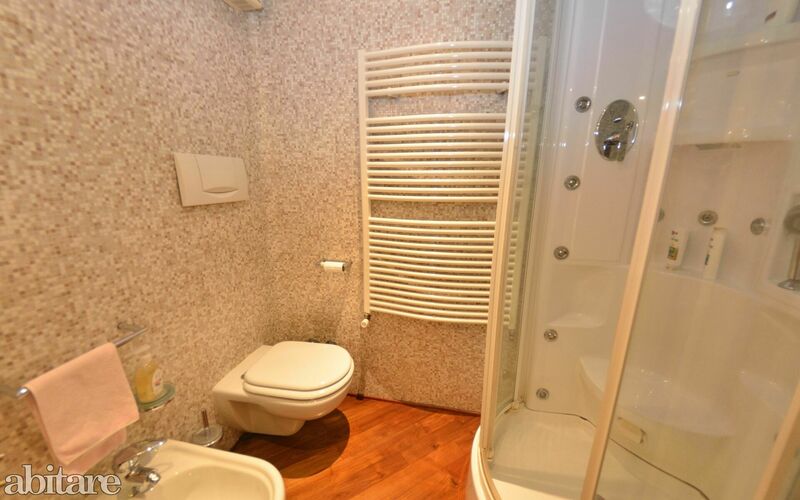 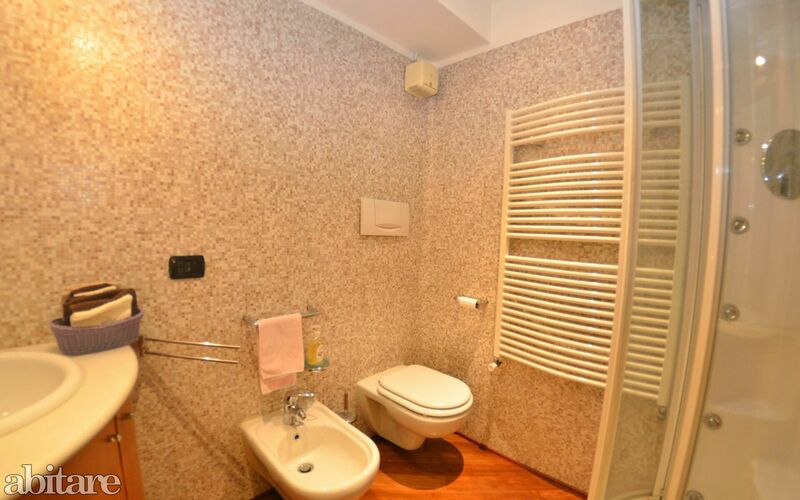 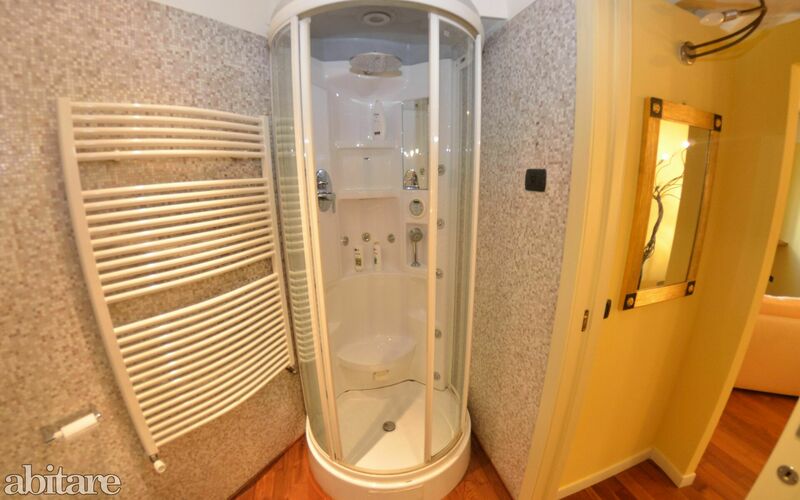 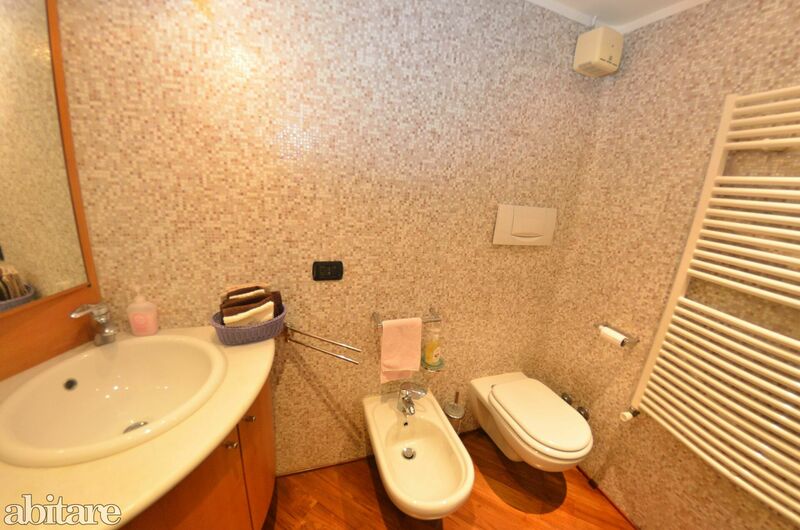 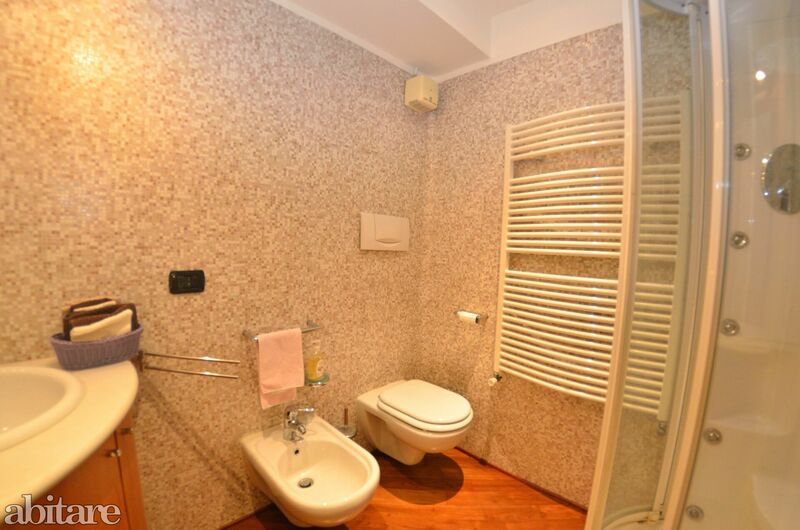 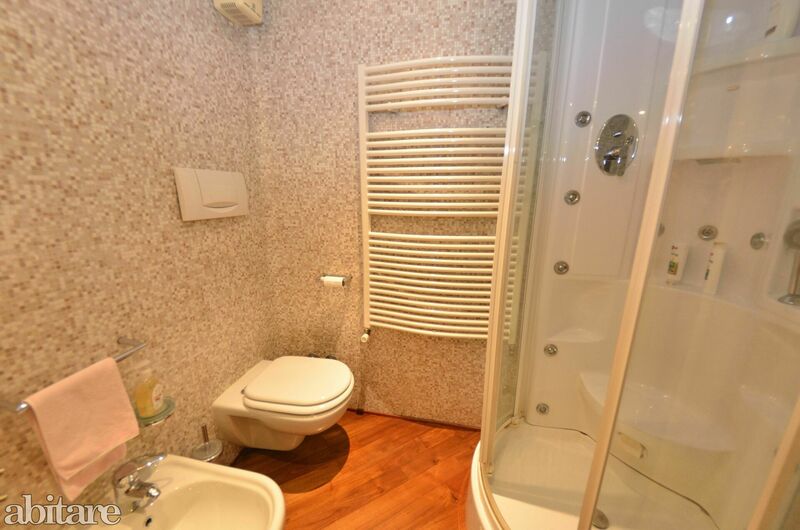 1 bathroom with hydro massage shower, basin, wc, bidet. 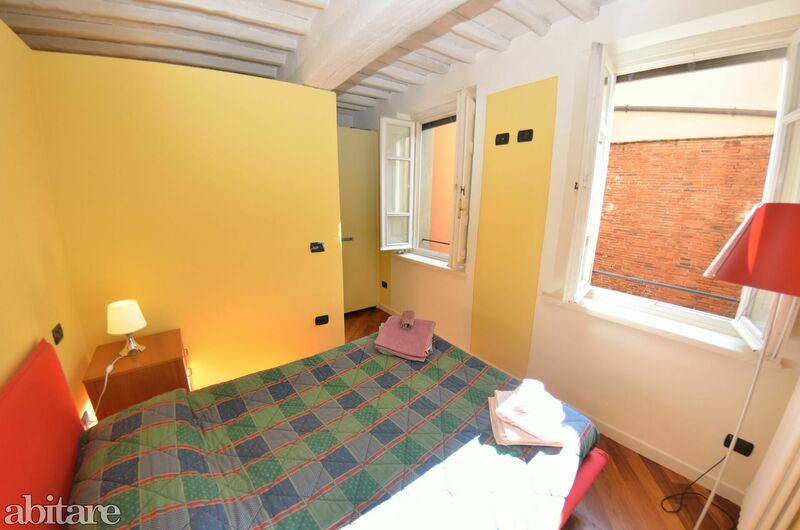 There is a drywall, which separates the sleeping area with 1 double bed. All areas are studied well and functional, to design your stay comfortable and relaxed. 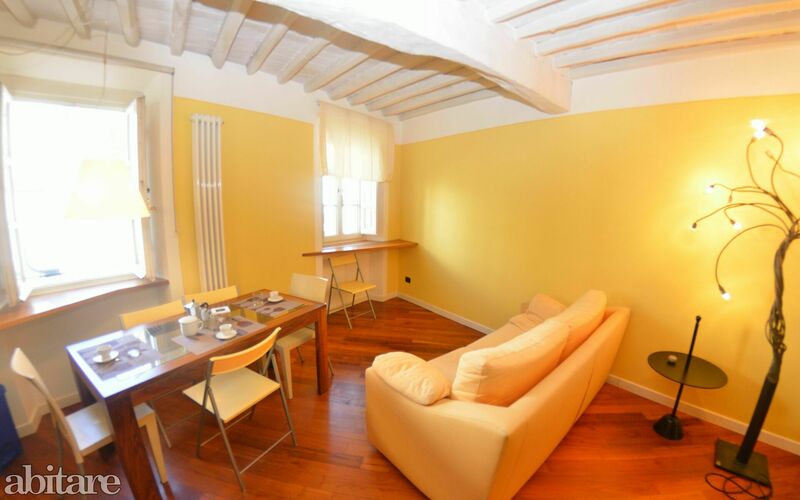 The furnishings are well cared, the walls are painted in pastel colours and beamed ceilings. 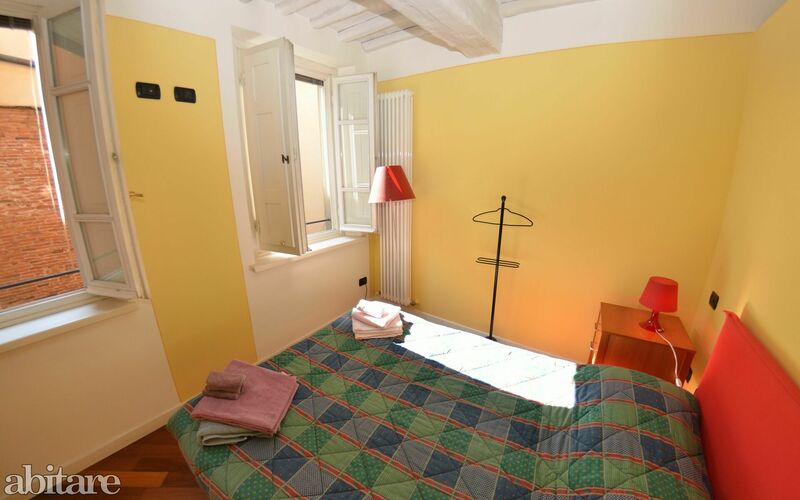 You have magnificent views from the windows onto the ancient town walls. 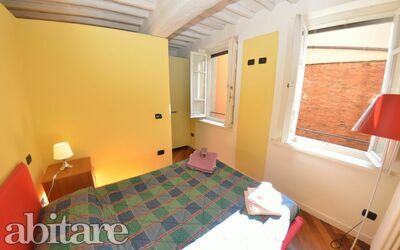 You may have relaxing strolls on the town wall and admire at the same time the attractions of the city. 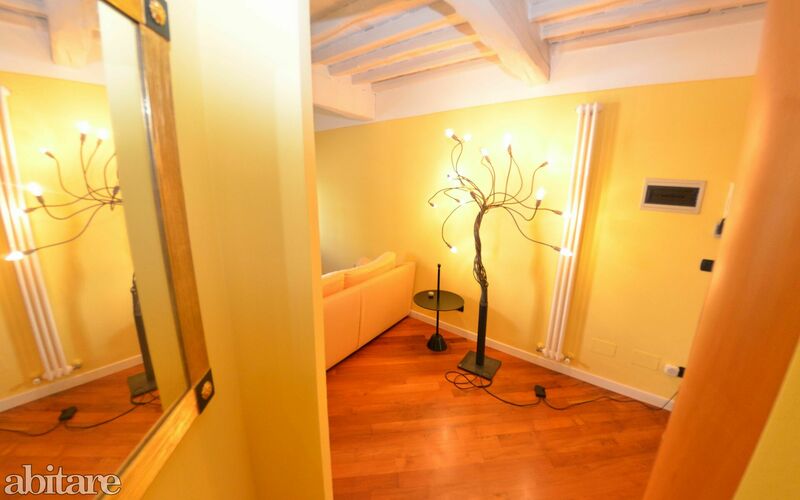 Bikes can be stored in the garage. 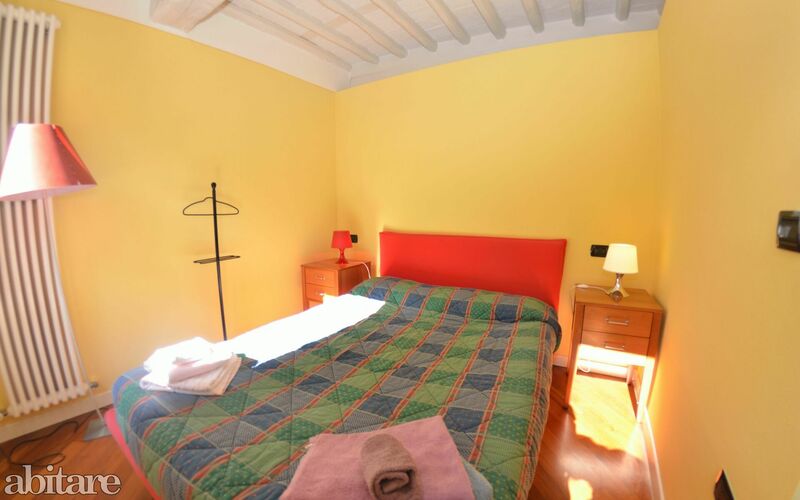 There is a parking (on payment) nearby, there is free parking a bit farer away. 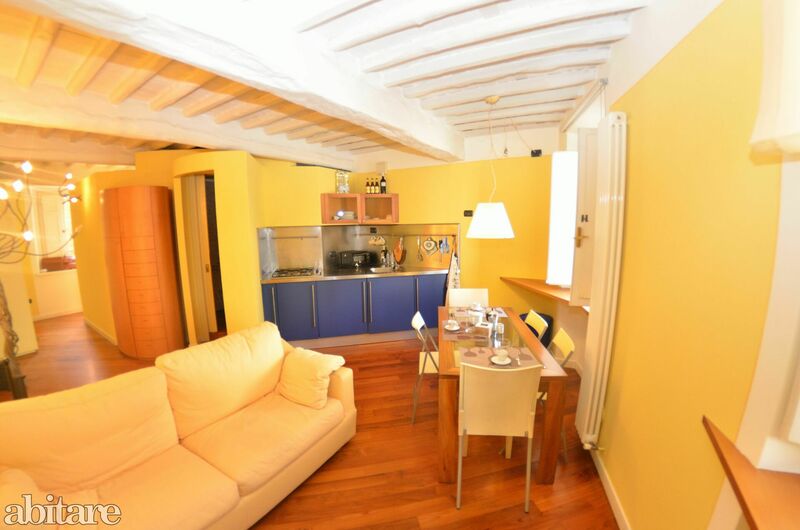 The luggage may be unloaded directly underneath the apartment. The apartment is an excellent fusion of functionalism and rest.